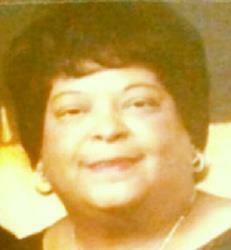 Mrs. Daisy Mary Williams,. 72, of Elizabethtown, KY died on April 23, 2018 at Hardin Memorial Hospital in Elizabethtown. Mrs. Williams was a native of Prattville, AL and the daughter of the late Henry and Luganvia Kelly Farris. She was a member of Abundant Life Church in Rialto, CA prior to relocating to Kentucky and worked as a nurse. In addition to her parents, she was preceded in death by one stepson, Ronnie Wayne Williams; grandson, DaJion Shepherd; one brother, Henry Farris, Jr.; one sister, Marion Stoudimier; six sisters-in-law and four brothers-in-law. Survivors include her husband, Ronnie Williams of Elizabethtown, KY; three daughters, Marian E. Farris of San Bernadino, CA, Karen Steward (Larry) of Clinton, UT and Sherea Shepherd-Coker (Cornelius) of Elizabethtown, KY; one son, Tony Farris of Nashville, TN; one sister, Neva Rudolph of Indianapolis, IN; seven grandchildren and ten great grandchildren. Funeral service will be held at 11:00 am on Tuesday, May 1, 2018 at Percell & Sons Funeral Home with Rev. Lewis Williams officiating. Visitation will be from 6:00 - 8:00 pm on Monday, April 30, 2018 also at Percell & Sons Funeral Home. Mr. Williams and Family, may your many memories of life with Daisy bring you comfort to share with each other during this time. May you also have the peace and comfort offered by our Heavenly Father Jehovah as promised by His son and our savior, Jesus Christ.